The Van Leeuwen Dairy Group in Canterbury who successfully introduced large scale robotic dairying to New Zealand in 2009 with 16 Lely Astronaut A3 robots, have purchased 24 Lely Astronaut A4 milking robots to be delivered this year. 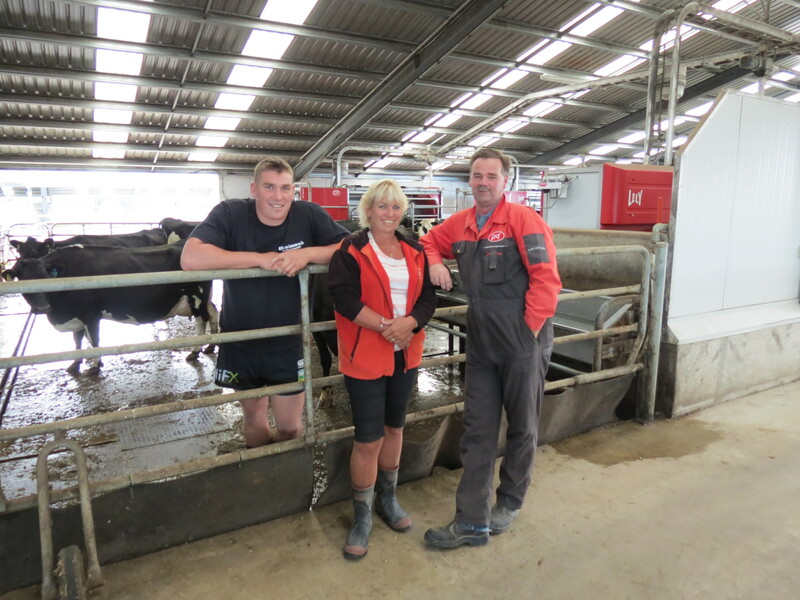 Aad and Wilma van Leeuwen’s choice for Lely comes from their experience with the management of large herds through the Lely concept. Aad Van Leeuwen explains that their choice to go with Lely again was based on the top quality service and Farm Management Support from Lely in New Zealand and also due to the performance of their existing 16 Astronaut A3 milking robots. "Our staff are used to the simplicity of the herd management system, and rely on the robots to do the job for us," Van Leeuwen says. "The cows know the system and in my opinion the Lely Astronaut robotic milking system ensures the best result from the cows. Happy cows and a good return on investment helps us reach our goals." The Van Leeuwen Dairy Group will be installing their 24 Lely Astronaut A4 robots in three barns of 500 cows each. The first lot of eight will be installed in June, the second 8 are to be installed in July and last 8 to be installed in October.